Hire a Queen Elsa that does it all! 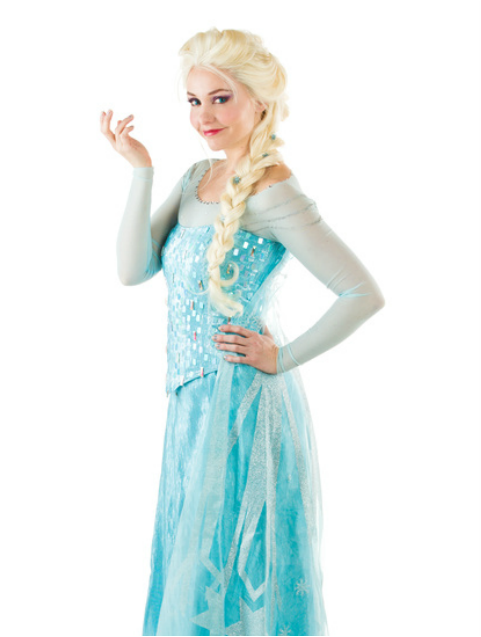 If you are looking for a Queen Elsa character appearance for a birthday party or event, look no further! 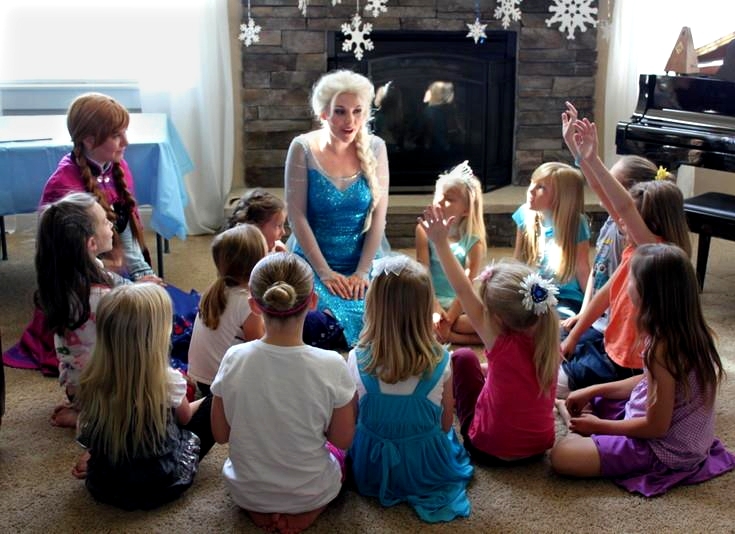 We have the most quality Elsa presentation in Utah. Aside from our confident singing skills, our face painting skill is unmatched, and our character presentation and likeness is uncanny. You will not find another Elsa like ours. 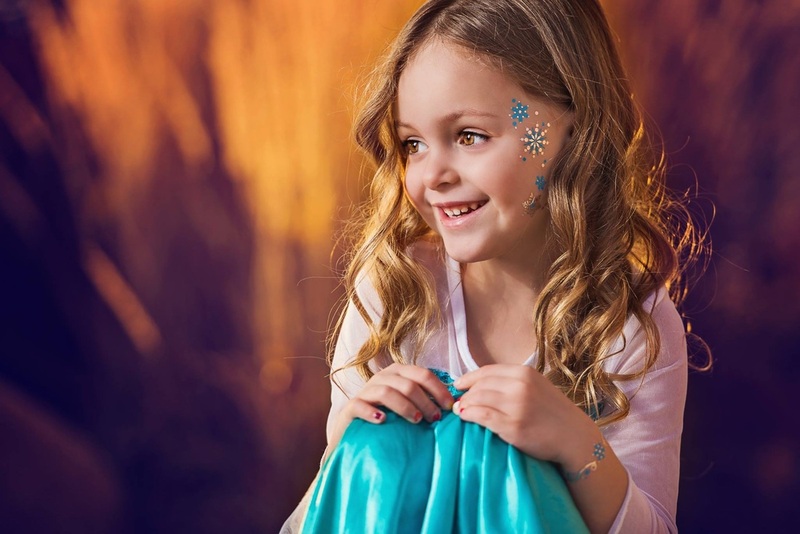 Live professional performance with Elsa, face painting for up to 12, coronation ceremony, singing time, and plenty of time for pictures. Create a memory that will last a lifetime! *Add Anna or Kristoff for $150 and get fun balloon twisting! 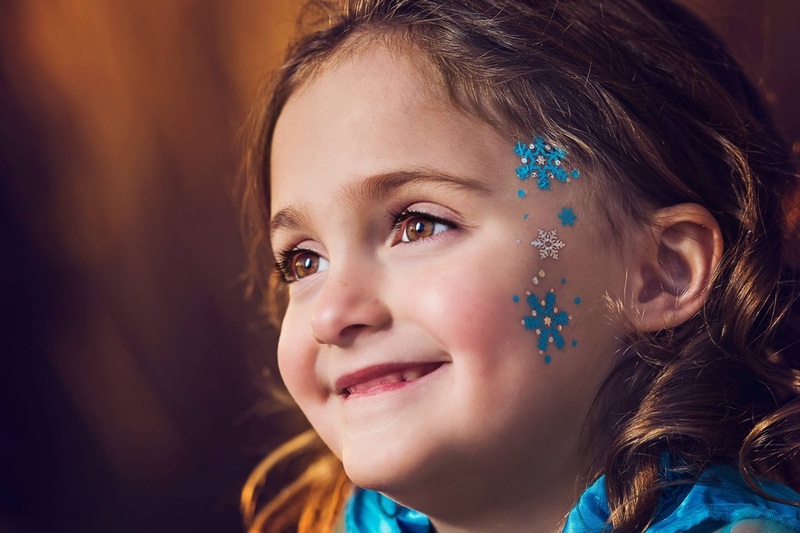 Live professional performance with Elsa, fun snowflake tattoos for up to 12, coronation ceremony, singing time, and plenty of time for pictures. Create a memory that will last a lifetime! 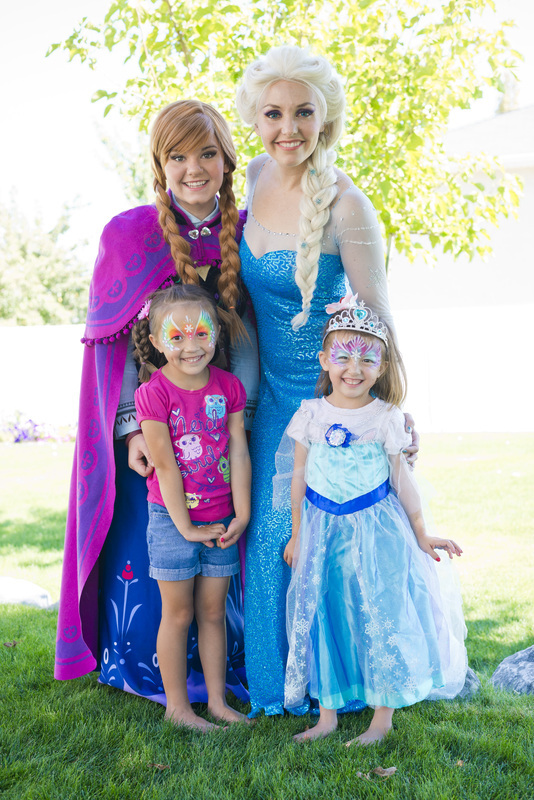 *A frozen party is not complete without princess Anna! Bring Anna to the face painting party as well for just $100. 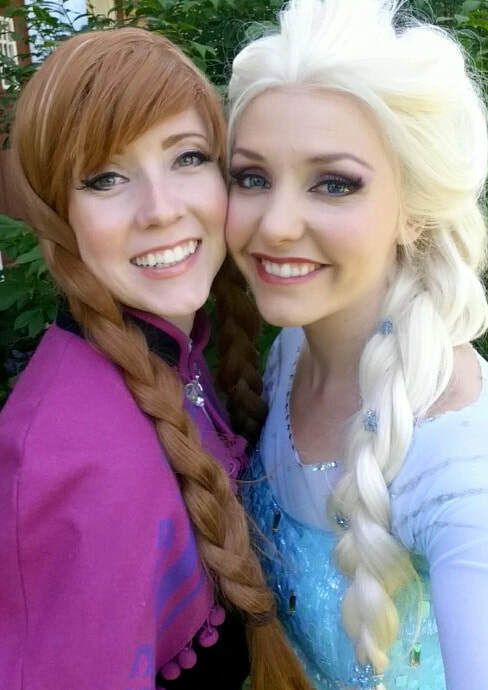 She also sings, tells the story of "frozen" and teaches the girls all about being a princess while Elsa paints faces. 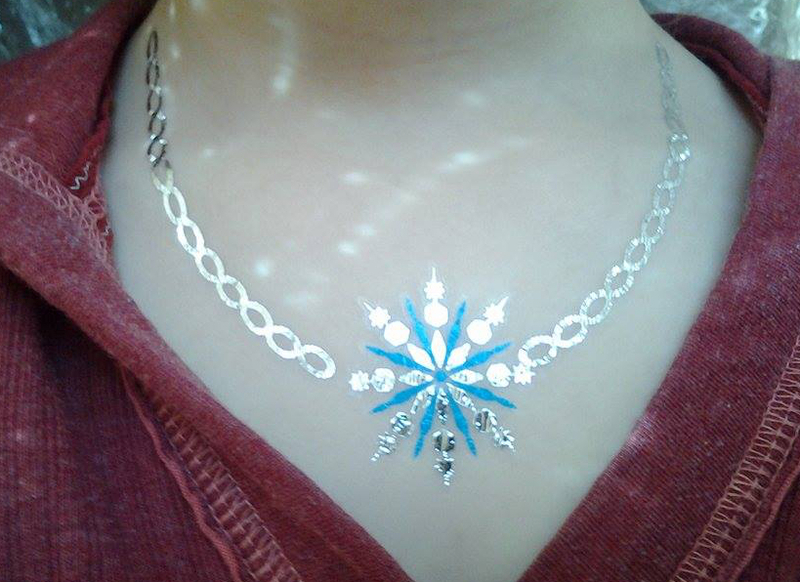 Anna also offers frozen snowflake tattoos. 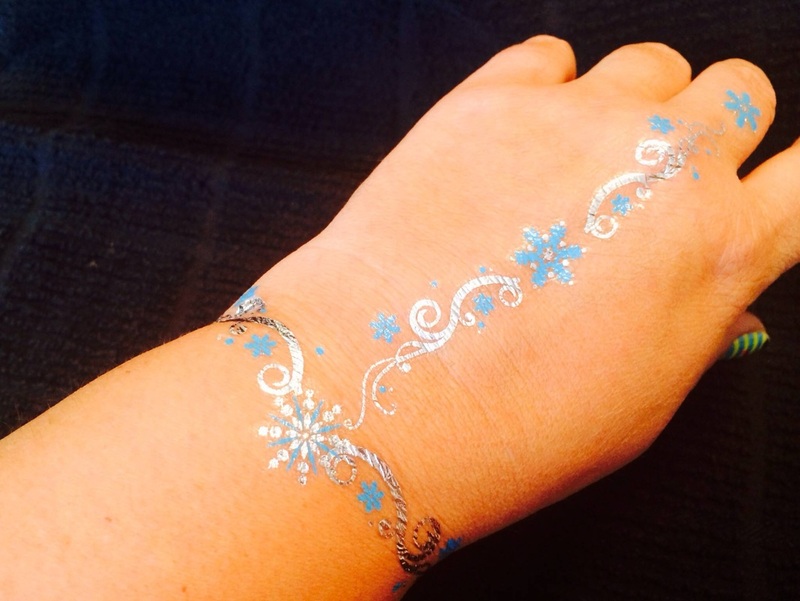 Foil tattoos shine like silver and last 3-7 days!! Exclusive to our parties.